The more I use and study MIDI (usually in that order), the more I enjoy it. recording patterns in realtime, then (re)sequencing these in arbitrary order programmatically. show control, to interface music gear with non-music gear; make my drum machine control my fog machine. When MIDI 1.0 was released in 1983, the promise of standardization was so powerful that everyone adopted or conformed to (at least some of) it, and we haven’t update the spec yet. As such, I’ve seen some “dominant genes” among the “evolution” MIDI-equipped gear in the last 30 years; specifically in how certain types of devices will only structure or perform some musical task in most obvious or popular way that the MIDI standard has supported. Specifically, for instance, while MIDI’s Timing Clock messages make it easy for sequencers like drum machines and time-based processors like digital echo-delays (or even audio loopers) to effortlessly sync to the same tempo, but this created a divide between two kinds of working. Any audio delays and audio loopers that could sync to Clock were great for building/mutating textures and loops in sync with said Master, but there was a disconnect here from how these things played when NOT Slave’d to MIDI. If you DID sync your sequencer and your audio echo/looper via MIDI, it required one to be a Clock Master, which HAD to be able to generate Clock PPQ messages. This usually required the Drum Machine to be Master. Thus, you had to define tempo, time-signature, and other concrete metrics ahead of time, and you’d be “stuck”. This only in the last half-decade or so have we seen (mostly software) tools that allow for rhythmic expressions (changing tempo, meter changes, polyrhythms, etc) that work and feel the same way in audio as they do in MIDI. Thus, for the last 10 or so years, in the back of my mind, I was frustrated that my drum-machines were never as rhythmically expressive as my audio or my hands. I wished I could just play the motif, loop it when/where I wanted, and still change sounds parametrically as MIDI. 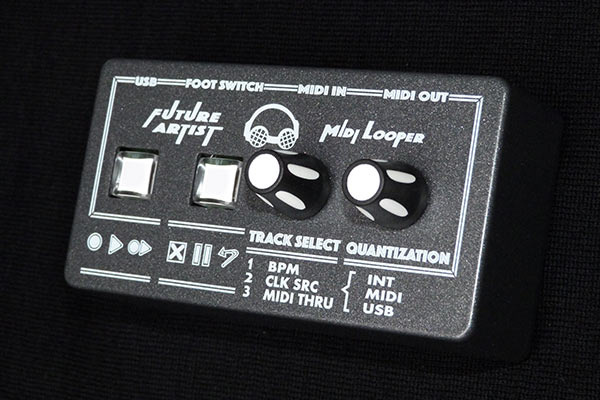 Thus, I was overjoyed last year to stumble across the MIDI Looper by Future Artist, last year. Read all about it in my in-depth product-review HERE. After ordering a MIDI Looper from Thomann Music, I’ve tinkered with it, and was pleased/curious enough to contact lead-designer Matthias Burger (“MB”) in Germany. the MIDI Pal from Mutable Instruments. Of course, like so many, I have been making complex MIDI-processing setups in software for myself (and for others) for years, where you have all the freedom of UI/UO you want and program on a nice big screen GUI… but there is something special about doing things the hard(ware) way… the physicality, the immediacy, the sense of commitment to concepts and menu-diving until they make sense. Something about the smaller screen makes for bigger ideas. Excited to learn about MB’s tool, I dug around, and (back in 2017) there wasn’t much to see, but I liked what I saw. 7 push-button endless encoders with corresponding RGB lights for color-coded distinction or grouping of controls. I was encouraged by those “…”s, but, up until this year(‘s SuperBooth), the only living, blinking demo I had to go on was the German-language chat at SuperBooth 2017. Thus, I was very excited to new (english) demos at SuperBooth 2018. These not only confirm design progress along the lines of the website, show (some) menu-diving and interaction of multiple plugins. Even with only a few MIDI Plugins ready for demo (from a growing list), this shows some impressive flexibility of “modular MIDI processing.” MB shows how much musical frenzy you can get out of a single note…when pushed through the right path. …the Future for Artist(s like us). These little boxes from (companies like) Future Artist definitely comes from, and encourages, thinking outside the box when it comes to creative applications of MIDI. It’s not much different than the magic of how a clean guitar tone, played through some special path of single-purpose stomp-boxes, can transform into something that not only sounds, but plays, like a different instrument. I for one am VERY excited for what this might facilitate for me, a drummer who yearns to blur the line between the nuance of the stick and the programatic automation of the sequencer. Perhaps this (or similar) tools could help me fix some lingering frustrations when I try to blend (hardware) drum-triggers and sequencers. For instance…the General MIDI standard has a set of System RealTime messages that include Start, Stop, Continue, to mimic the linear play controls of sequencers, but I ther is no RealTime message reserved for “Record,” be that simply “arm,” “realtime-” or “step-” recording. While any MIDI-equipped looper may allow some MIDI message to trigger it’s loop-record/play button, I have YET to find a drum machine that allows remote MIDI switching between recording (editing) and playing patterns, much less any clear, copy, or paste of MIDI pattern data. 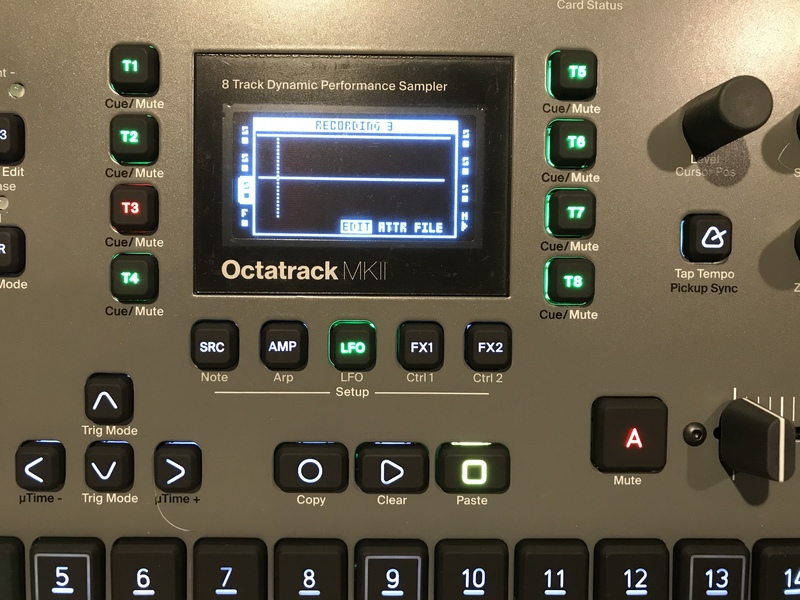 I’ve been surprised that, in my study of the Elektron OctaTrack, a super-deep sequencer/sample, I found extensive remote control for (re-)recording and playback of individual samples, or even start/stop of discrete tracks, but not of it’s any other handy copy/clear/paste operations for such tracks or the pattern at large. Yes….I find myself wanting to be able to step on a footswitch or hit a pad instead of spare a hand to jump freely between “composing” and “performing” (a la 1990’s Alesis SR-16) without having to stop and (re)start the groove. Am I really alone here ? I’m excited to see makers like Future Artist leading the charge to push further. I am hopeful that the Platform’s Looper Plugin could be used in multiple instances… I find myself daydreaming about how running multiple MIDI instruments each into their own MIDI Looper plugin might get quite out of hand, without ever having to take my hands off the instruments themselves. I you have questions or comments (or concerns) for me, please share in the comments below.